Nissan has revealed the Terrano SUV in India today, the last of the badge engineered products which the company has borrowed from Renault. The Nissan Terrano will be available for pre-bookking at Nissan dealers from 1st September 2013, deliveries will start after the SUV has been launched in the first week of October 2013. The Nissan Terrano will be priced under Rs. 10 Lakh, the exact pricing will be announced during the launch. Check out the photos below, we will be uploading a detailed gallery soon. On the outside, the basic silhouette of the SUV remains the same as the Renault Duster, but little details all around make it different. At the front, the headlights, the grille and the bumper have been revised for a smarter look. The bonnet gets a slight change to continue the lines from the grille. Move to the side and you’ll notice the new alloy wheel design, the blacked out B and C pillars, the new roof-rail. The door panels have been slightly rounded out and a new crease line runs above the door handles. Move to the rear and things look really different, we wish the Duster looked this way. The split tail-lamps and revised number-plate holder design make the Terrano look smarter, the space here seems to be better utilised. Paint colour options include: Grey, Silver, Bronze, Red, Black and White. Move inside, and the biggest change that you’d be able to notice is how the centre console looks. The vents above the centre console are now rectangular-ish, a closed cubby hole can be fund above that. The centre console is finished in piano-black plastic and again is more rectangular-ish, the music-system is slightly different, but the rest of the buttons are similar to that found in the Duster. The steering wheel has been slightly altered, but in essence isn’t that different from the one found on the Duster. Nissan will be providing more ‘premium’ interior trim options for the Terrano to differentiate it from the Duster, but we do not have any concrete details on those as of now. Nissan is expected to use the same engines used on the Renault Duster for the Terrano. This means that the 1.5-litre diesel and the 1.6-litre petrol engines will power the Terrano, Nissan has not confirmed whether they engines will be tuned differently though. As the full details of the Nissan Terrano are not out, we will have to wait and see if the SUV deserves the Rs. 50,000-70,000 premium that it will command over the Duster. What features would you like to see on the Terrano? Let us know in the comments below. It’s official, the Nissan Terrano will be unveiled in India on the 20th of August 2013. The Terrano will be a spruced up version of the Renault Duster, there also rumours that Nissan will launch a 4WD variant of the SUV too! We will be bringing you updates from the unveiling, keep tuned to Car Blog India. You can see the spy shots of the Terrano here. Nissan has released a sketch of the rear of the upcoming Duster based Terrano SUV. As you can see from the images below, the car will be much more sharper looking than the Duster, there will be host of changes to the sheet metal of the Terrano. The rear is dominated by split tail-lights, a chrome strip above the number plate holder, a smart rear-bumper and sharp lines here and there. This is a teaser image, expect the final product to look a bit mellowed down as compared to this. Nissan has officially confirmed that the new Duster based SUV will be called the Terrano. It has also released a sketch of the SUV, which will be launched within 2013. “I am delighted to reveal both the name and the very first image of what will be a very important model for Nissan. You can see from the sketch that the Terrano has a bold and distinctive design that I am confident will appeal to our growing customer base in India, as will its driving performance and range of other features that will be revealed at a later date” said Mr. Kenichiro Yomura, President and CEO, Nissan Motor India. The Terrano will be produced at Nissan’s Oragadam plant alongside the premium hatchback Micra, Sunny sedan and Evalia MUV. The last car to be shared between the Nissan-Renault alliance will be the Duster-based SUV, which according Autocar will be named the Terrano. The Terrano brand name was first used by Nissan in 1993 for a SUV that it sold till 2006, the Juke replaced it in 2010. The Terrano will be essentially a rebadged Renault Duster underneath, but will receive major exterior design changes to differentiate from its cousin. This image makeover will not be similar to the Sunny or the Pulse, where very minimal changes were done, the new SUV will be inline with the design philosophy followed in other cars in Nissan’s lineup. Interior design may not be tweaked much to save costs. In contrast to the previous cars shared between the two companies, the Nissan Terrano will be sold at a premium to the Renault Duster. A price difference of Rs. 50,000 to Rs. 70,000 is expected, though do not know if Nissan will offer any extra equipment for the price. 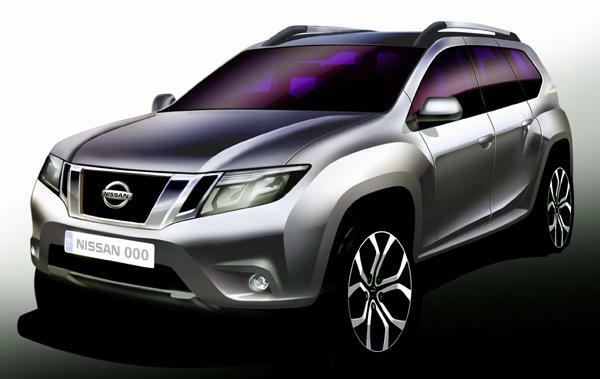 The Nissan Terrano is expected to be launched by the end of 2013. We will keep you posted as more news comes in. ‘Duster’s clone in the auto zone’ One should not be surprised to read this because as we all know that Renault and Nissan are glued partners for the auto mart. The fact made clear when Renault lifted the covers for India auto mart concerned car pulse in the market where in Nissan already marketing Micra with same looks. People got confused between two of them, and hence came to know that both are joint partners. These joint partners share the development of products, and car collaborations for the branding too. Both the auto giants have now gone to an extent in sharing the cars in the market. As per an aired news about Nissan is that the company soon going to replica or make out a clone of the fortune changer for Renault ‘Duster’ the charismatic and loved one SUV of the auto world. Moreover the plan of Nissan motors is to make a clone of Duster only in India, as to cut down the prices and expenses predictably. If we see Duster by Renault was built in Romania and prices were decided as per the production cost. So a simple mathematics by Nissan is to price the unnamed and unknown SUV lower than the present market fire Duster. Common news about the Renault is that company was not doing well in the market with the old models, but then when Duster entered it changed the whole scenario for the ages and managed to put Renault on cloud nine. Big thing about the Renault and Nissan is that they have a high percentage of Models that have same platform. We predictably think that might be possible after looking the fact and reviews about the Renault success, Nissan too wanted to recreate the history for itself to get the brand up above in the sky. Nissan right now makes only X-trail the SUV which is not currently present in India. Indian SUV market is now on fire from last two years. We guess that we are putting us in the trend and the way USA goes, as USA is the loveliest market for the auto majors to brand and sell their trucks and SUV’s. Now Nissan is looking forward for the SUV to make and launch pretty soon. Predictably signs are also there for Nissan’s SUV to get copied from the famous Duster platform. 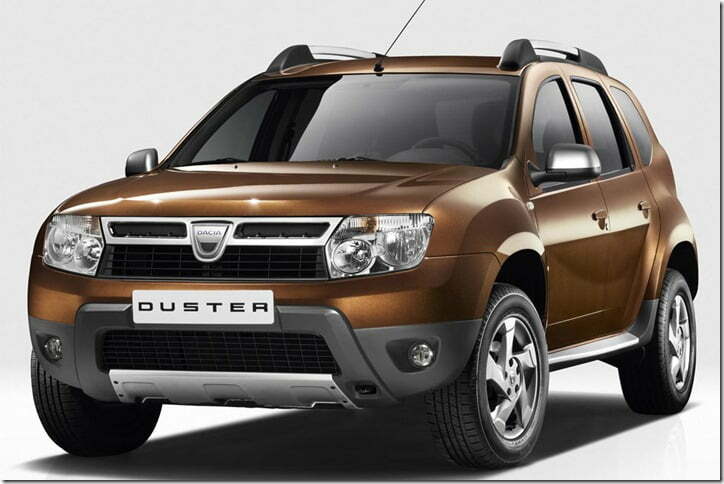 Currently duster is a five seater SUV with both petrol and diesel trims for consumers choices. The SUV is considered the economic priced SUV among the breeds. We have a prediction as looking to earlier models that it might happen Nissan will get a new copied Duster with just the brand tag changed. If Nissan wants to write a new history then it should stop producing replicas, by this way only a bit of brand show off can be done not sales. For now the news is that company might carry forward the mechanicals too for the unknown SUV by Nissan motors. Some pictures of Nissan branded duster are leaked on the Internet, it seems to be slightly different than the Renault Duster from front and read.